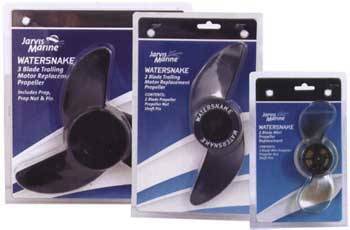 These Propeller Kits each contain a propeller, propeller nut and shear pin. We recommend you keep a spare propeller on board at all times, just in case. The 2 Blade Kit suits 24lb, 30lb and 34lb motors. The 3 Blade Kit fits all 44lb and 54lb motors. This handy kit is one to keep on board at all times. It consists of a propeller nut wrench, propeller nut and two shear pins. (Not compatable with ASP series). Keep your rods ready for action and your tackle tidy. 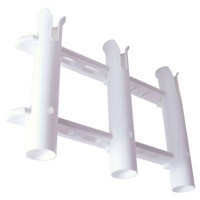 Jarvis Marine 3 rack rod holders are built tough to last and are made from high densitty white plastic with UV stabilisers making them very durable. They feature a handy place to store your pliers and fillet knife and all mounting hardware is included. 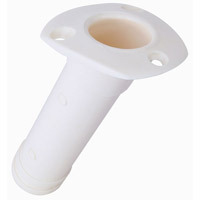 The Jarvis Marine Flush Mount Rod Holder is made from durable, corrosion free ABS materials. Mounts at a 30 degree angle and requires a 2" installation hole. 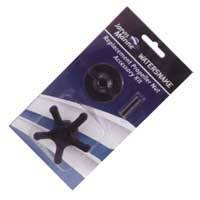 If you are worried someone might want to borrow your outboard then try the Jarvis Marine Outboard Motor Lock. The lock will secure outboard motors to the transom and the EDC coated steel tube locks over the screws making them inaccessible to theft. The package includes a padlock that fits inside the tube making it difficult to cut. A universal Car Kayak Kit which works with any four door car, so you can transport your kayak, canoe, surfboard or other items easily and safely, without expensive and unsightly roof racks. 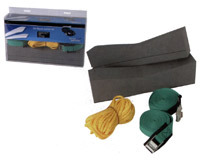 The Car Kayak Kit includes two solid foam mounts, two tie downs and a forward security rope. Simply place the foam mounts in line with your front and rear doors, use the tie downs to secure your load through the open doors, then attach the front security rope and you're on your way. Too easy! 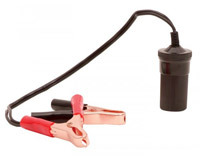 Made of corrosion resistant materials, the battery clip extension allows you to connect 12 volt accessories directly to the battery. 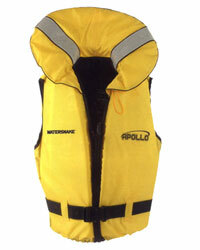 The Apollo PFD adult sizes offer a level of comfort expected from PFDs of a much higher price. The bright yellow colour offers high visibility, as do the reflective strips.